Cannon County Sheriff's Deputy Seth Perry was sitting stationary in the parking lot of the former East Side Market on Dec. 1 when he observed a white Jeep Wrangler eastbound on State Route 281 which failed to stop at a traffic control device at the U.S. 70S. Deputy Perry began to follow the vehicle and observed it pass a car on Center Hill Road on a double yellow line. The deputy initiated his emergency blue lights and the vehicle began to increase its rate of speed. The driver then made a right hand turn onto Todd Road, where it overtook another vehicle where no yellow marking was observed. It finally came to a stop at the intersection of Todd Road and State Route 146. 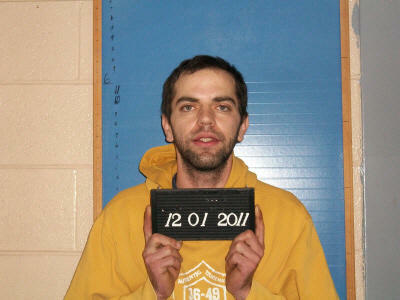 The operator, Travis Mark Howell, exited the vehicle and came running toward the deputy's patrol unit. Deputy Perry advised Howell to stop and get on the ground. Howell complied. Howell stated he had been drinking and that was why he was attempting to evade arrest. Deputy Perry smelled a strong odor of an intoxicating beverage coming from Howell, who appeared unsteady on his feet, had red, watery eyes, and slurred speech. The deputy looked into Howell's vehicle. There were several empty beer cans and had a strong smell of alcohol. It also had a cooler inside, which contained beer and a half-empty bottle of Wild Turkey whiskey. Howell made the statement that Wild Turkey keeps you warm when you're driving and its cold outside. Howell was arrested and transported to the Cannon County Jail, where he was charged with DUI, Evading Arrest and Violation of the Implied Consent law. He was also written citations for Reckless Driving, Improper Passing, Violation of a Traffic Control Device and for a Taillight Violation. Total bond was set at $4,000. Initial court date is Jan. 12.